Green Apple Benefits :As it is rightly said, “An apple a day, keeps the doctor away”, well, this applies to green apples as well. Apples, in general are considered to be a really healthy fruit which has got many benefits, be it for health, skin or hair. Here are a few of the benefits of green apples, which are easily found everywhere in India these days. Green apples are rich in Vitamin C which is beneficial for preventing the damage of skin cells by free radicals, hence reducing the chances of skin cancer. Green apples help in cell rejuvenation and cell rebuilding. This helps in keeping the skin healthy and glowing. The anti-oxidants present in green apples keep the liver functioning properly, maintaining the overall health of a person. Consuming green apple juice is really beneficial in curing old age disease ‘Alzheimer’ and hypersensitive allergic disorder ‘Asthma’. Green apple is highly rich in fibers which help in keeping the liver, kidney and digestive system healthy and free of harmful toxins. It also helps in keeping the constipation issues at bay. The presence of high amount of fibers in green apple reduces the risk of developing colon cancer. Green apples are rich in various important nutrients like copper, iron, manganese and potassium; all these elements play a crucial role in maintaining the health. Presence of iron is considered to be the best to absorb oxygen that in turn boosts the metabolic rate of the body. Green apple juice makes a perfect evening snack for people who feel really hungry at short intervals of time. It is packed with fibres, is low on fat, sugar and sodium and is known to satiate the hunger pangs. It also increases the calorie burning potential of the body. Green apples are filled with Vitamin K, which is helpful in coagulating the blood. It helps in healing the wounds in a better manner. Women who experience heavy periods can also consume green apple juice to get their excessive bleeding under control. Green apple which is rich in vitamins and minerals has great potential in strengthening the hair. It prevents hair fall and promotes hair growth. Start consuming green apple as it is or in the form of juice, it is for sure going to make your hair soft and bright. A paste which is created using the leaves and peel of green apple helps in treating dandruff; it is a really effective paste which can be used as shampoo too. Applying green apple juice directly onto the scalp also helps in preventing dandruff. Green apples are highly effective in anti-acne treatment as well. On consuming green apple daily, it will help in getting rid of acne as well as help in preventing the outbreak too. Using green apples in a face mask will surely help in hydrating and moisturising the skin which in turn will improve the texture of the skin. Green apple juice immediately improves the hydration level of the skin. Green apples are a good source of antioxidants such as Vitamin A and C, which prevents the onset of premature ageing. Free radicals which are present in the body lead to wrinkles, fine lines and dark spots and consuming food rich in these anti-oxidants help in delaying the ageing process, therefore one must consume green apples in order to control or eliminate the damage. 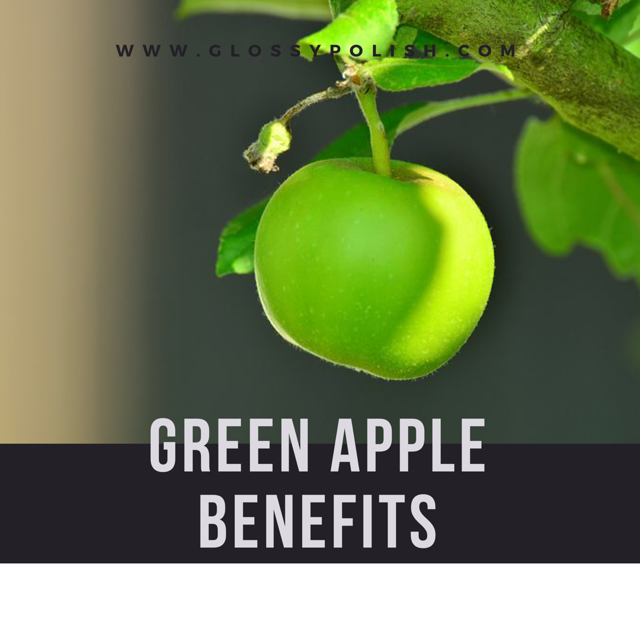 So these are some of the well known benefits of green apples. Make sure you add it to your list of groceries and buy it soon!